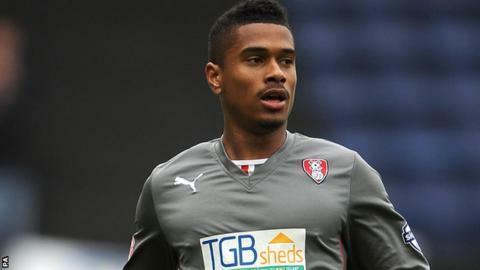 Oxford United have signed Rotherham defender Richard Brindley on a month's loan, with a view to a permanent deal. The 21-year-old has played twice in the Championship for Rotherham this season and had a four-game loan spell with League One side Scunthorpe. "For me it's an opportunity to show what I can do and hopefully I can help the club progress," Brindley told BBC Radio Oxford. "I'm coming here to get games and see how things go." He joined Rotherham from Chesterfield in May 2013 and helped them to promotion from League One last season, but his first-team opportunities have been limited this campaign. "I played against Oxford with Chesterfield and they were a decent side," he said. "There's a few players here that I've played with in the past and I'm happy to be here." Oxford are 16th in the League Two table, three points clear of the relegation places.